New studies and research are finding comparable and positive effects of anti-aging principles are helping in Alzheimer patient’s recovery long term.It is also showing that anti-aging processes can prevent you possibly from getting Alzheimer’s as well. Keeping the mind healthy and active with exercise, diet and alertness is an important starting point. It has been proven in research studies that when the body exercises and gets the circulation of the blood flowing at an adequate pace, the heart, brain and body all function at higher levels of alertness and activity. This is what helps keep mental faculties in tune and efficient throughout the aging process as well as doing a variety of mental exercises every day to stay adept and youthful. There is still a high demand for more valuable research and studies to be done within the Alzheimer’s and anti-aging front, but the good news is that more and more possible cures and positive medicines are being invented and approved each and every year. The best anti-aging process to help with this and other age related diseases is still great, nutritionally smart diet choices, stopping the smoking habit, limiting or cutting out consumption of alcohol, exercising regularly and taking on a youthful and age proof attitude in your lifestyle routine. These positive changes help not just you, but your family as well. Reducing stress is an important part of anti-aging and your total mind and body health also. Recent research has shown that people with a certain type of E Apo gene pattern could be prone to be diagnosed with Alzheimer’s later on in their lives. It is important to know if you have this gene so you can start as soon as possible to try to prevent Alzheimer’s symptoms from occurring. Start now with these prevention techniques to enhance your later years by feeling more youthful and healthy. 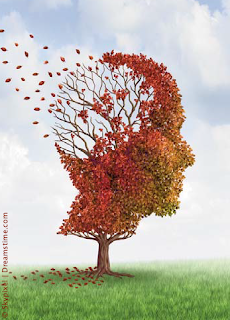 New studies and research are finding comparable and positive effects of anti-aging principles are helping in Alzheimer patient’s recovery long term. Being in tune with new research involving anti-aging “latest and greatest” is important to all of us who want to do whatever it takes to slow down the agingprocess and stay younger looking longer. New research suggests that Vitamin K could be an anti-aging miracle worker. It may also factor into preventing osteoporosis as well as disease of the heart. It has richer, higher antioxidant properties than Q10’s coenzymes and Vitamin E. It is being tested for use as a future cancer treatment too. Extracts made from green tea have been shown to slow aging processes due to their high content of antioxidants also. If you are a tea lover, then drinking 2-3 cups a day is just as nourishing and has the same positive effects. Popular super foods for anti-aging success include vegetables and fruits of vibrant hues. The brighter the colors on them, the more antioxidant punch they have for your body. Reds, blues, purples, oranges and deep greens are the perfect choices to stay younger looking research have shown. By adding fresh berries or almonds to your yogurt, smoothie or cereal you can receive your fair share of antioxidants as well. Exercises which keep you flexible such as yoga and stretching are also important. Studies have shown the importance of flexibility in staying fit, fabulous and youthful. Keeping your body active and moving is a main ingredient in anti-aging as it increases circulation within the blood and strengthen bones and muscles. 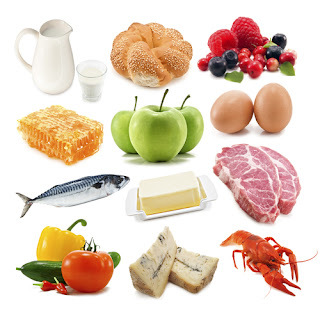 Foods rich in calcium are known to be fighters for anti-aging too. These include yogurts, milk, fortified calcium rich beverages of soy, salmon (canned), orange juice, broccoli, sesame seeds, sardines, lentils and flax seeds or oils. Your lifestyle has an important role in the anti-aging process as well. Daily exfoliation and moisturizing rituals, exercise, and healthy choices when eating along with adding vitamin supplements will all help keep you younger, radiant and spectacular looking for many years to come. Those who follow the changes in Germany’s average age have clearly seen a long-term increase in the proportion of older people in relation to the total population. Evolving at the same time and also worth watching are the changing attitudes and behaviors around leisure. A growing number of people beyond their 50th birthdays do not feel old. As their awareness develops, they see themselves not as seniors, but as people at the best possible age. Such so-called Best-agers want to stretch beyond the normal minor-ailment mindset. Instead, they want a life of physically active leisure, with healthy, active, and meaningful purpose. That’s why these people increase their regular physical activity and organize their own health maintenance. One need only look around to see more elderly active in sports today than ever before. 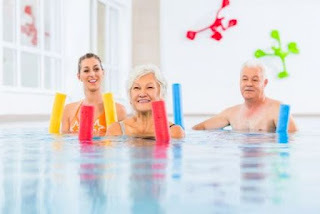 The 50+ generation adventures for a walk in the park, gathers for popular water aerobics, or trains in a stylish fitness studio. Along with the new demands of the Best-age generation also comes the rapidly increasing need for age-specific and appropriate sport and leisure activities. The older generation – often a wealthy audience – takes an increasingly important responsibility for the sport and leisure industry. Above all, sport and fitness providers see great opportunities offered to them by the Best-age generation. To find a successful niche in this area requires more than well-thought-out strategies and holistic approaches. Due to their physical and mental conditions, older people need especially competent staff to give different attention than the well-trained 25 year old would need. Meanwhile, the newly evolved Best-age coach must get special training to perform competently in meeting the needs of older people. Each day as we age, millions of body cells die and most are replaced. Good nutrition is essential to rejuvenating the body and providing the right building blocks to generate new, healthy cells. A healthy diet, rich in nutrients including some recommended anti-aging foods can also help protect cells that are not easily regenerated such as bone and brain tissue. To start with you should watch your total calorie intake. Being overweight can contribute to a number of age related health issues including diabetes, heart disease and osteoarthritis. Refined sugar and saturated fat should also be limited as they can contribute to cardiac disease such as atherosclerosis and contributes to cardiac arrest and stroke. Specific foods, rich in particular nutrients have been shown to retard the aging process and aid in rejuvenation. Oily fish such as salmon and tuna are known sources of omega 3 fatty acids which have been shown to be beneficial in aiding persons with both cardiac disease and cognitive issues such as Alzheimer’s disease. Dark berries and red wine are rich in antioxidants which are known to eliminate free radicals which are a major contributor to cell damage and death. Leafy green vegetables are loaded with vitamins, minerals, antioxidants and fiber, the darker green the vegetable, the better. Nuts are known to be high in minerals and proteins often deficient in the diet of an aging person. They are rich in calcium, potassium and magnesium which are essential to the proper functioning of cardiac and nervous systems. Whole grains are a good source of fiber and complex carbohydrate which will help control blood sugar and regulate the digestive system. Proper hydration is also essential so plenty of water should be consumed daily. Finally, of course you should also get plenty of rest, reduce your stress level whenever possible and exercise according to your level of ability. Following these anti-aging food guidelines will help keep your body and mind healthy as you age and can contribute to a longer, happier life. Who does not want to look youthful and pretty through their thirties, forties, fifties and beyond? I am sure that all. 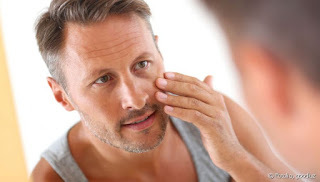 If you want to have a handsome skin, no matter what age, a good rule of thumb is to use natural care skin-remedies and avoid undesirable poisons commercial products. 1. Good diet is important! Eat meals and traditional traditional fats, including the organic meats and chicken, deep-ocean fish, cultured dairy products, natural butter, coconut oil, and fresh fruit and vegetables in time. Remember that your skin is a reflection of your overall health. 2. Exercise in moderation – a half-an-hour brisk walk a day is important to your overall health and a great-looking skin. Too much exercise depletes the body from the essential minerals and other nutrients and facilitates Aging. Fear of gaining weight? Subtract the amount of carbs you eat! 3. Use only natural products that nurture the skin, like our ancestors did. The best are cold-pressed coconut oil and natural shea butter, which contains the necessary nourishing and moisturizing ingredients and naturally-occurring vitamins A, B, C, D and E, to keep your skin look its best. 4. Sunbathe in moderation, about 20 minutes a day on time. Remember that the sun exposure is absolutely necessary for both the robust health and a better-looking skin. However, protect your skin from sunburns and omit or limit the use of sunbeds, because the artificial UVA rays accelerate Burns and the Aging of your skin. 5. A wide-brimmed hat or a good pair of sunglasses are the must wear the summer, especially if your eyes are blue or green. By protecting your eyes from direct sunlight, you slow the age-related formation of wrinkles and also secure them from the development of muscular degeneration and cataracts. Wear your sunglasses. When you first enter the light, the tendency is to squint. Over time, leads to squinting loved wrinkles near your eyes called crow’s feet. To keep that pesky black birds from walking all over your face, wear wraparound sunglasses. Most people do not realize that Sunday is seen peripherally unless there is something there to block the lights. They will not spend big bucks either. If you find a pair pharmacy, they do the job just as well. Pop these in every time you leave home to avoid direct sunlight and glare. 6. Only a sleepless night or a day of worrying can make a woman look twice her age … Therefore, do not forget to have plenty of sleep, and reduce the concerns, conflicts, and grief in your life as much as possible. 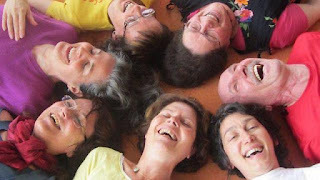 Happiness and freedom from stress is the most effective anti-Aging remedies. Care of your skin really boils down to developing common sense practices in your daily life. Practice these tips and beat the Aging process while feeling healthy and good about yourself. After puberty we stop growing. Actually the adult body begins to shrink in length/height, but grows wider/thicker in the chest and waist area. Height loss is even greater after age 70 years. 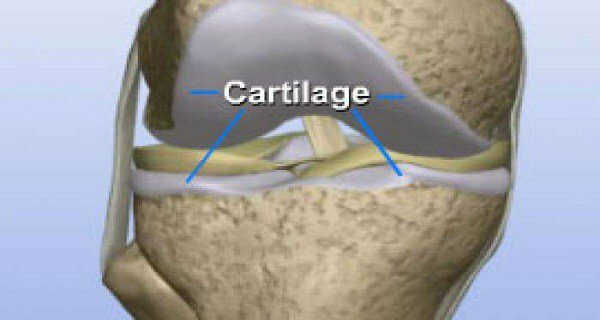 The auricle is the part of the body made of cartilage cell that continue to divide, grow, mature and die throughout life, according to Heiner Muller-Arneck’s study. Not the same with bones and cartilage in other parts of the aging body. There is a shape change as the body ages. At age 60 – 69 years of age, the chest and waist are on average four inches wider than at age 20 – 29 years of age. The body length shrinks up to 3 inches. That would mean at 69 years old a person would be more comfortable in a wider chair, but a wider chair is not needed by the same person at age 29. The conclusion is with aging – the body shrinks in height, and gets heavier around the chest and waist area. The body is not as flexible or pliable. The industry needs to rethink their products, and adapt them to the aging body. Copier machines must be better suited to older persons. Smaller buttons and keyboard are inappropriate as the aging hand grows broader. By 2050 the number of people over 65 years will be over 20 million, 10 million of those will be over 80 years of age. They must be able to use TVs and mobile phones. Our bodies can show the signs of aging in many ways. Wrinkles, bags around the eyes, and liver spots are just a few ways we age. Our environment and lifestyle can play a major role in how fast we begin to show the signs of aging. We cannot stop the clock, but there are natural ways to reverse aging. The Standard American Diet causes inflammation in the body. All of the sugary foods and processed snacks we have become addicted to wreck havoc on our bodies and cause a lot of the pain and ailments we feel. Eating a healthier diet can reduce inflammation. Outside contributors of premature aging include free radicals. They are found inside the body and also in the air and water. These free radicals cause cancer and disease. Organic fruits and vegetables as well as green tea have a lot of antioxidants. A rainbow diet is a natural way to reverse aging. Stress is a proven enemy to our physical and mental health. It speeds up aging and allows the body to be more susceptible to colds and other illnesses. There are many ways to handle the stress in your life. Yoga, laughter, meditation and sleep are good ways to get rid of stress. Many foods can trigger stress including sugar, alcohol and caffeine. If the body is deficient in necessary vitamins and minerals, stress can be triggered. Eating vitamin rich foods and avoiding food triggers is a natural way to reverse aging and take the stress away from your body. We live in a society where there is not a lot of physical activity. The sedentary lifestyle has caused our bodies to become flabby with poor muscle tone and bad posture. This makes the body look and feel older than it is. Pilates and walking are simple yet effective ways to firm the body and reverse aging. If the body can stay clean from factory produced foods, pesticides and stress, it can heal. It is not just one natural way to reverse aging; there are several ways to do this. With the proper information and tools you can stop aging in its tracks. Hi this is James Powell, I'm a senior consultant with Cenegenics, the largest age management practice in the world for almost 20 years. I'm also a course instructor with the age management Medicine, Education Foundation we sponsor an AMA approved certification course for physicians we've trained thousands of physicians over the years in this specialty the reason I'm reaching out to you today is at some point you've inquired with Cenegenis maybe about your health your vitality you have some kind of health goals in mind so I just wanted to give you a brief overview of who we are and by the way I'm also a patient on the program myself (more information about Cenegenics here cenegenicsreview.net) I can even talk a little bit about that so what is age management medicine we help our patients achieve optimal health wellness vitality and really minimize all the risk factors of all the common diseases that plague our society so how do we do that first of all let's talk about some of the common slowdown symptoms of aging the ones we commonly think of . Of course is you age even getting into your 30s you start to notice the decline in your energy levels certainly we noticed some body composition changes gets much harder to stay lean we tend to pick up additional weight, mostly body fat both men and women experience these common changes of aging certainly some cognitive changes happen we don't sleep as well that drive and motivation changes a little bit sexual changes happen and of course we have a much higher chance of being on some kind of common medication blood pressure, medicine cholesterol medication maybe a diabetes medication other common medications of people probably over the age of about 40 and by the way I'm in my mid-50s right now and I have to say I feel every day I function at the level I did literally in my mid-20s and I'm just a typical patient on the program so what causes these common changes of aging because most of these common changes. The changes listed are preventable or you can certainly minimize or delay for many years the onset of some of these changes well there's some basic things that happen even in our mid-30s and of course it gets worse and worse as we age one would be the metabolic and hormone imbalances now this happens to everyone and we'll talk about at least I'll give you an overview today of how we will address these things everyone knows their metabolism changes as they get older you might be eating better you might be feeling like you're starving or going on diets and you still cannot lose that belly fat or those are the problem areas well we have to correct those metabolic and hormone imbalances if you will ever achieve the health goals that you're looking to achieve besides those another common reason we start to experience changes of course would be lifestyle challenges we all need some help with how we eat how we exercise. I'm physically as strong or stronger than I've ever been my stamina is every bit as good as it was in my mid-20s when I was in the military literally to function like I was half my age it's absolutely priceless and of course it helps me and my work capacity it helps in my relationships with my children my family members it helps you in every aspect of your life so really all I want to do today is just to invite you to find out more there's no obligation what I would like to be able to do is have you speak directly with one of our caring physicians we have the most highly trained physicians in the world in this and we offer a very unique opportunity to speak directly with one of our physicians there is no cost for this phone call with the doctor there's certainly no obligation and all the phone calls are confidential so if you're watching this short video I'm sure you received our emails maybe one of the representatives from one of the doctors offices has called you probably left a voicemail I definitely invite you the next time they call take a few minutes it's worth it talk to the doctor ask questions they're not going to Russia again there's no obligation they'll find out about your health goals they can provide you with some options the medical options at least answer your questions about your own health and your goals that you have any concerns you have in the aging process I think it'll be the best phone call you've ever made again we invite you to call the number back or take the next phone call take a few minutes out of your busy schedule what is more important than your health your wellness your vitality your time on this planet thank you so much we definitely look forward to speaking with you.